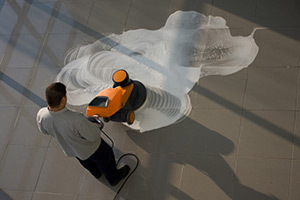 It is the expectation of your clients to be able to visit your business and experience a clean and inviting space,. It is also your employees’ desire to work in a clean space. For this reason, you want your commercial cleaning company to thoroughly clean and shine your facility with conscientious expertise. At Wifesavers, we consistently strive to not only meet your expectations but to easily exceed them. If you are looking for commercial cleaning services in Macon, we invite you to reach out to our team to learn more about all the janitorial services we offer. Delivered by a superior custodial staff, our services in commercial cleaning have been routinely recognized for unparalleled results. We’ve helped hundreds of businesses who have come to rely on our promise of consistency and quality in all that we do. Hiring only those who have passed the rigorous training provided by the Maid Training Academy, we ensure professionalism and workmanship that sets the standard for the rest of the industry. Contact the Wifesavers customer care team for your custom quote on commercial cleaning. We promise a prompt, friendly response by a knowledgeable professional and we look forward to providing you with commercial cleaning services in Macon you can count on.